Marble Arches and Swirls and Stripes and Hugs My Feet! 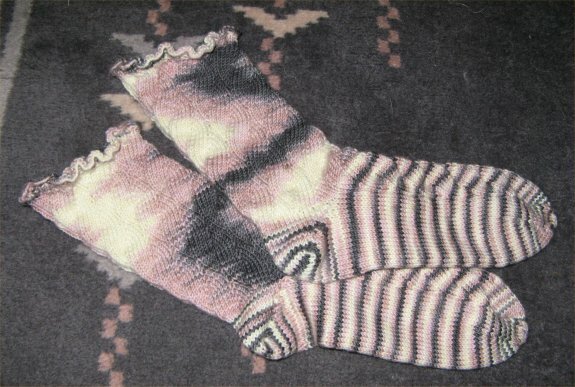 This may be my favorite sock club pattern so far. 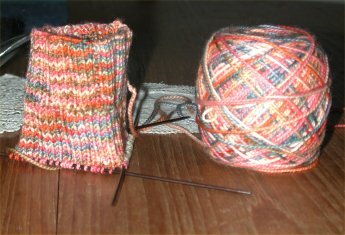 It was just immensely fun to knit from the beginning right to the end. Watching to see if the swirls of color would wrap all the way around or just make an interesting "s" shape was part of the intrigue. I love the ruffle, and the color combinations here. 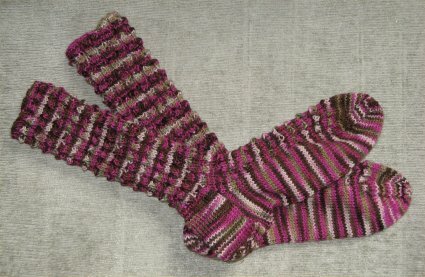 And interestingly, I had half hoped that the colors would form stripes like other ones I had seen, but I really got to liking the pooling. Yay pooling!! 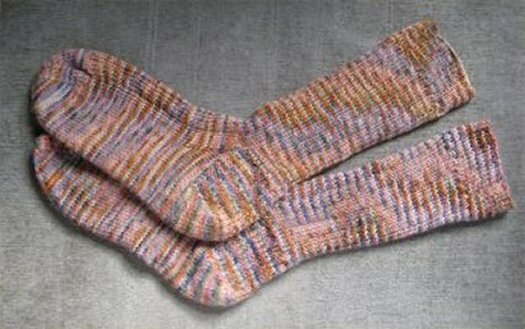 The "faux" cable lays flat as opposed to real cable, which to me makes it an ideal design for socks. Using medium weight was initially tricky, because in order to get such a fine gauge, I had to go down to size 00 needles. The end result is a very firm and thick fabric that feels like double-knitting to touch - also the steel needles won't break under the strain of such a strong yarn which is always a good thing. 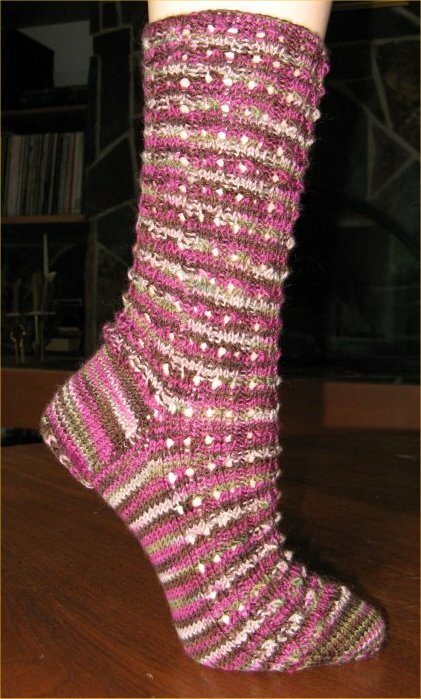 The short row heel is very satisfying to do and fits a low-instep like mine just perfectly. Happy Feet!! I was never able to wear Mom's shoes, but she can wear my socks!